I’m strangely cheerful today considering that the view from my window could not be bleaker. It looks like the world has been drained of colours, but I’m sitting at my desk munching on the delicious nougat chocolate from Mama Choka that Mugler sent along with the Angel Eau Sucrée Limited Edition 2017 fragrance* I’m reviewing today, and I truly feel like I’m living my best life. I’m always excited to get a new fragrance in the mail, but it’s even better when it comes with chocolate. 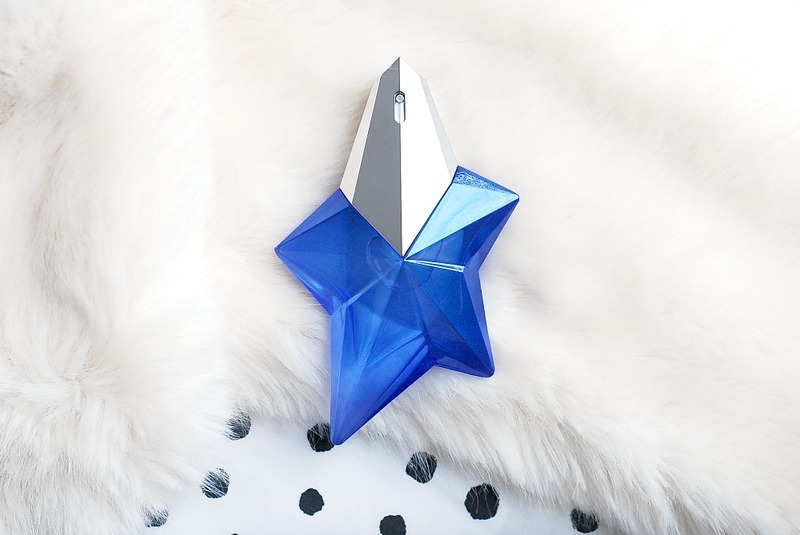 I’m ready to ditch the heavy winter scents, and the Mugler Angel Eau Sucrée ($82) is a delightfully sweet way to transition back into fresher, floral summer fragrances. 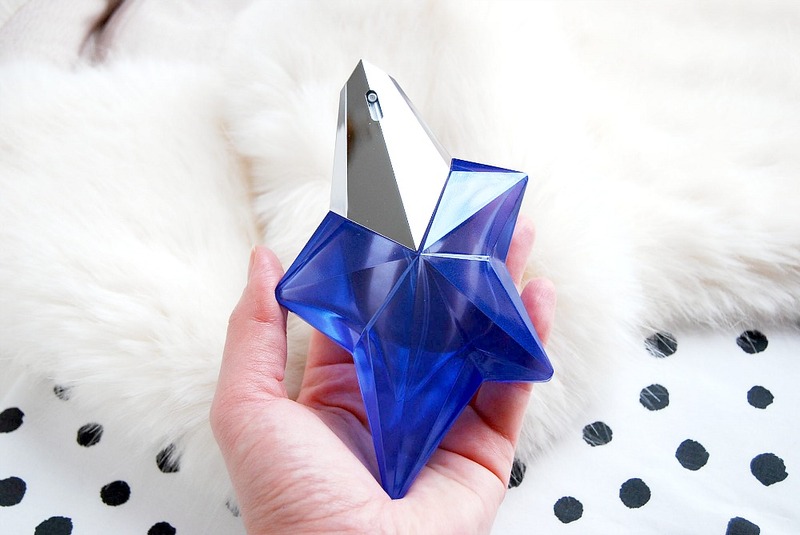 It’s sweet but not heavy in the least, unlike Mugler’s traditional Angel which gives me terrible headaches and the newer Angel Muse, which I’m still on the fence about. 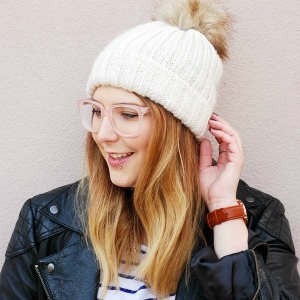 Eau Sucrée is playful and feminine, with notes of juicy red berry, caramelized meringue, patchouli and vanilla. Everything from the striped blue box to the scent evokes an old-fashioned candy store, and an unfortunate side-effect of this is that I’ve had 50 Cent’s Candy Shop stuck in my head ever since this package arrived. It’s a bit distracting. Angel Eau Sucrée is one of those limited edition fragrances that gets a relaunch every year in a beautiful new bottle. 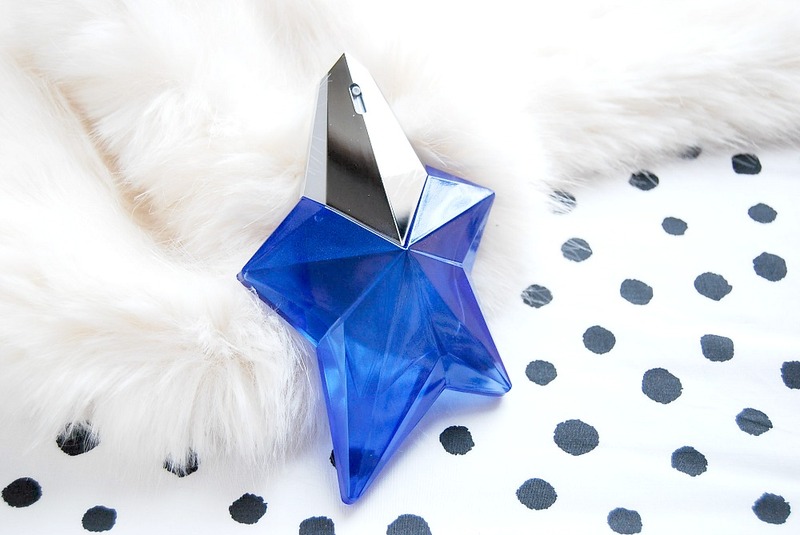 For this year’s incarnation, the iconic Angel star-shaped bottle got a dark blue makeover. The 2017 Angel Eau Sucrée bottle is not particularly memorable compared to previous years, but it has a very pretty shimmer if you look closely enough. 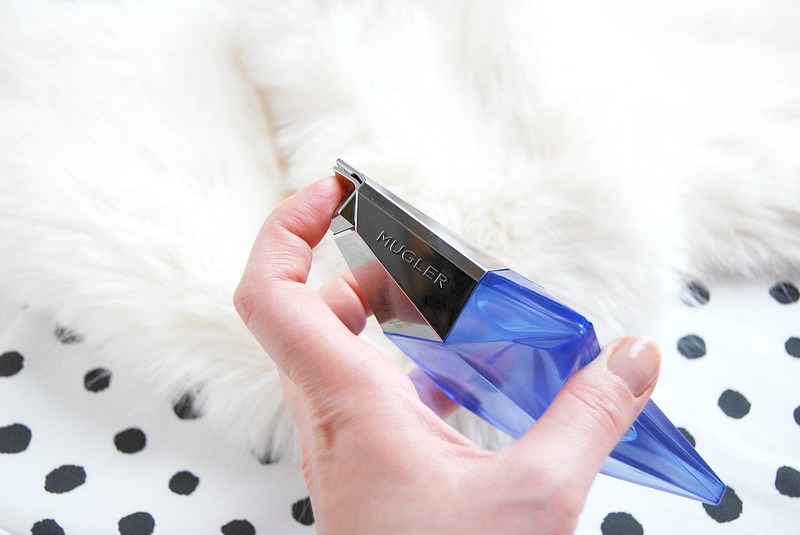 Though I love the shape of the bottle, Mugler should definitely consider designing a bottle that can stand upright. 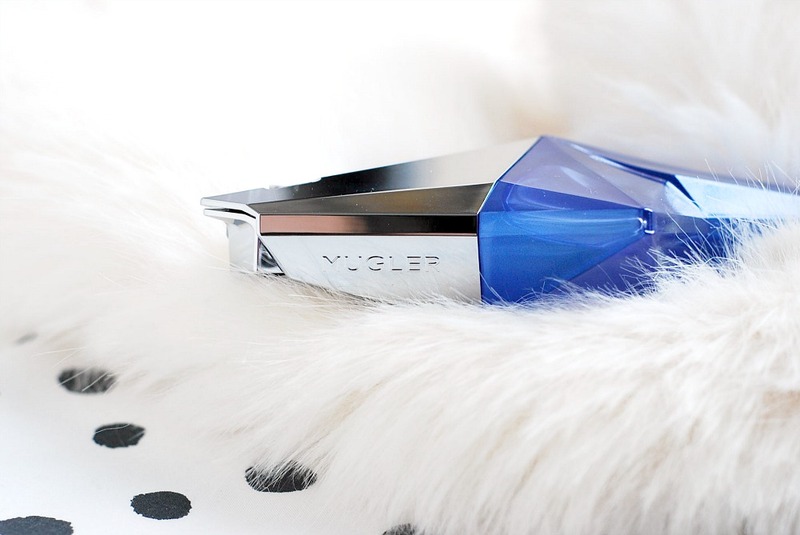 I find not being able to display my Mugler fragrances on my dressing table incredibly annoying and impractical. It’s also worth noting that as this is a limited edition, it’s only sold in 50ml bottles. I love the sweetness of this scent so much that I’m already rationing it so it lasts me until the 2018 relaunch.